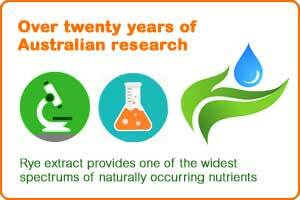 Over twenty years of Australian research and Development has resulted in two exceptional Rye Grass extract healing products. Oralmat Drops - for asthma, chronic fatigue, hay fever and allergies. Oralmat Spray - for cuts, grazes, burns, scalds and open wounds. 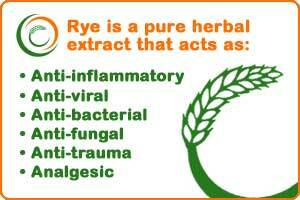 Rye extract provides one of the widest spectrums of naturally occurring nutrients available in a single source. 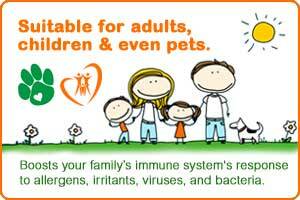 Individually these products are natural, powerful and effective. Together they combine to offer a syngestic healing effect on both internal and external conditions and provide your body with the means to protect and heal itself. Laboratory testing has revealed Oralmat to be completely gluten-free and pollen-free! The Oralmat range is known to be effective in relieving the symptoms of a number of different ailments including asthma, bronchitis, emphysema and other respiratory diseases as well as chronic fatigue, hay fever and allergies. The symptoms of viral, fungal or bacterial infections are also known to improve with the use of Oralmat. Cuts, sores, burns, ulcers and other skin complaints such as nickel allergy rashes also respond rapidly to the topical use of the products. The Health Corner are the appointed distributors of Oralmat products in the UK and Ireland. When you buy from this website you can be assured you are getting genuine Oralmat products from a genuine and reliable source. The application of Oralmat Wound Healing Spray can bring almost instant pain relief. Haemophiliacs can use the spray to help stop bleeding and to help wounds to heal. Oralmat Wound Healing Spray contains a rye grass extract, renowned for its healing properties. Oralmat Wound Healing Spray is non-toxic and non-intrusive, with anti-viral, anti-fungal and anti-bacterial properties and is 100% natural and steroid free. Oralmat Wound Healing Spray has been developed for site-specific topical application to a wide range of skin lesions including burns of various degrees, ulcers, insect bites, stings and sunburn. Easily applied to sites where the skin is broken, the wound healing spray is appropriate for especially sensitive and difficult-to-reach injuries. Oralmat can also help with such conditions as chronic fatigue syndrome, cancer, HIV/Aids, haemophilia, rhinitis and sinusitis. Like it or not, an agenda awaits us the moment we are born. For 24 hours a day, 7 days a week, every day of our lives, we endure a continuous barrage from countless enemies which want to control us for their own gain. 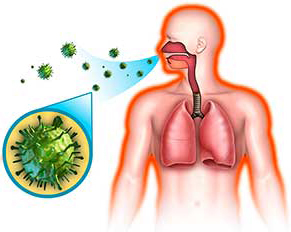 Our enemies are in the form of toxins, germs and pollutants, which have a number of ways to enter our bodies. They are in the polluted air we breathe. They are in waste products, garbage, faeces, contaminated food and other objects that we handle every day. They are in the food we eat and the water we drink that, when looked at from close up, resembles a biological experiment rather than nutritional refreshment. The good news is that Oralmat can naturally boost your immune system and help your body repair and defend itself without the need for over perscribed antibiotics. Protect yourself naturally with the Oralmat range. If you are a health retailer, supplier or therapist and would like to introduce Oralmat products to your clients and customers please get in touch. We offer a range of options to suit all requirements.